On site camping. Or on-site Glamping? You decide. 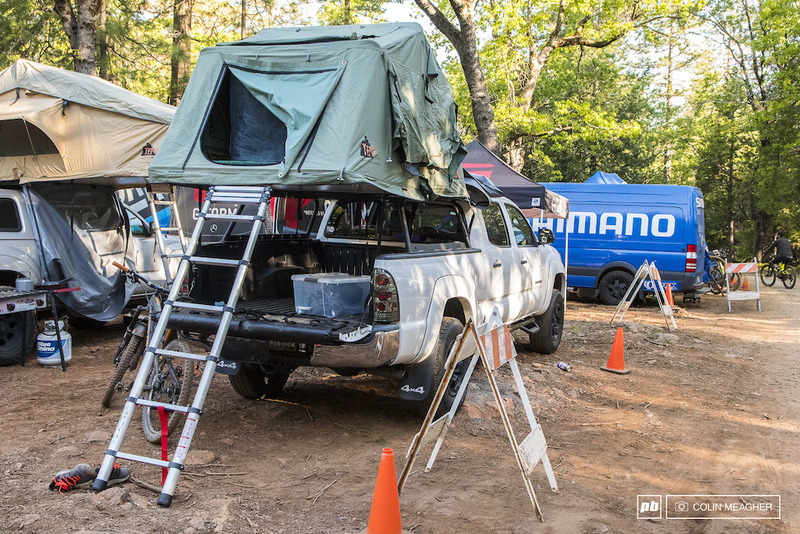 But the deluxe Tepui cargo rack tents make me err on the glamping side of the equation. Sure, you can get a hotel if you want, but should you get an invite to TDS, camping life is the way to go for the full experience. Yes, you get drunken revelery until O'dark thirty every night, but you also get a ringside seat on what a dozen and a half guys started with some trails and a bonfire years ago: TDS Enduro.